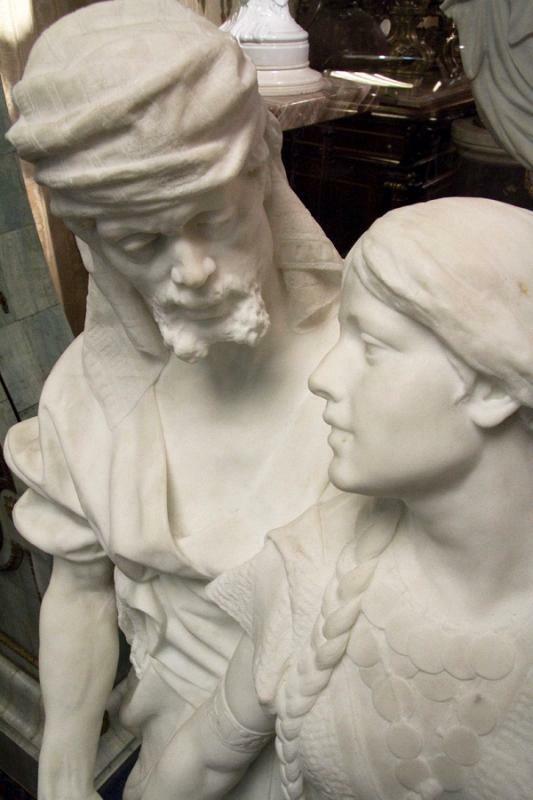 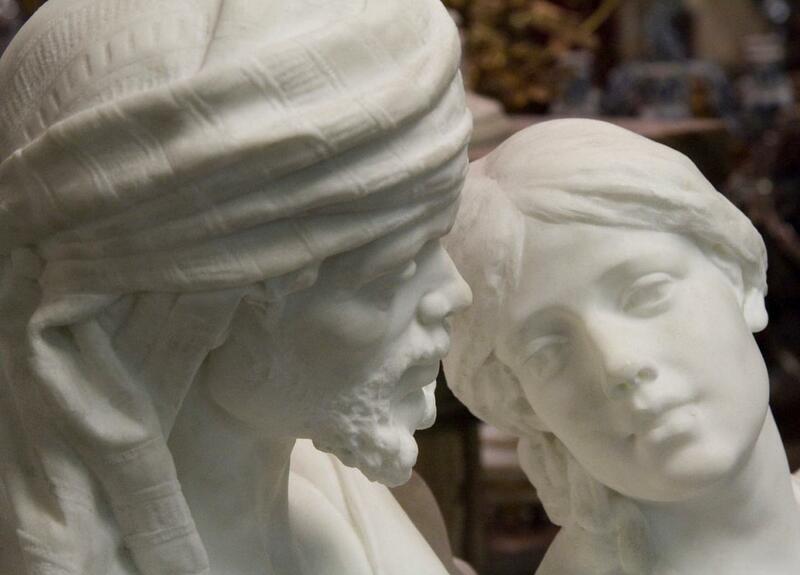 This lovely, large marble sculpture depicting Othello and Desdemona dates from the late 19th to early 20th century. 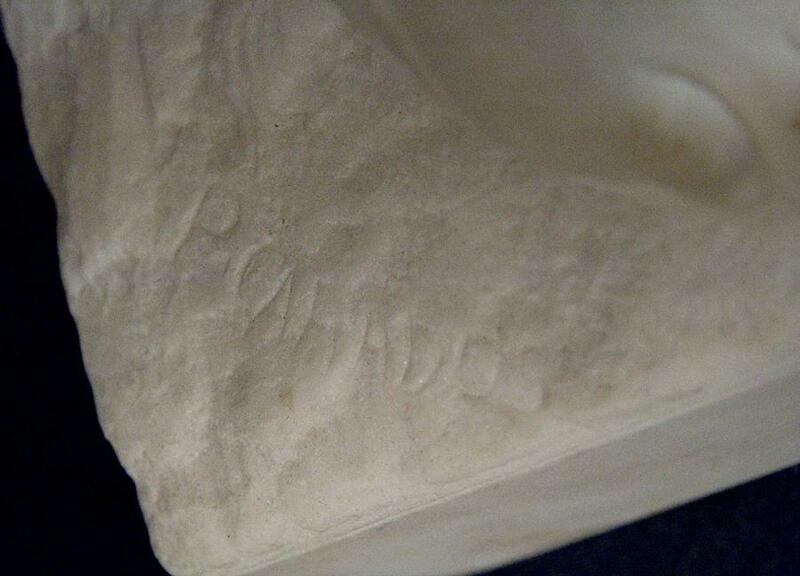 Signed P. Carados. 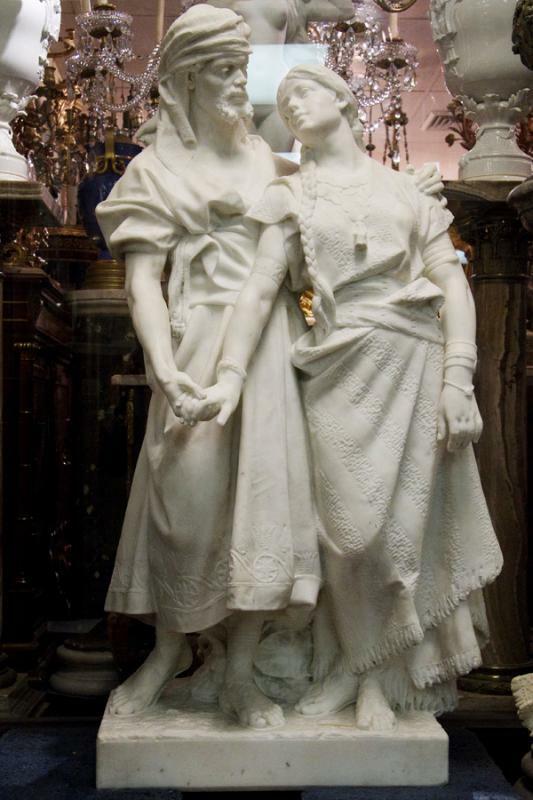 Measures: 47 x 21.5 x 12.5 in; 119 x 55 x 32 cm. 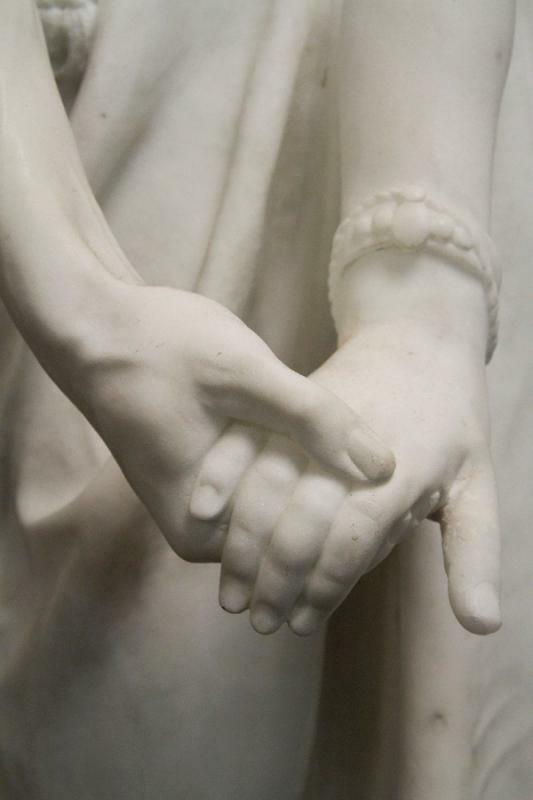 The surface is dirty and there are restorations to the clasped hands and with loss to her thumb, and restoration to the tip of her fingers on left hand. 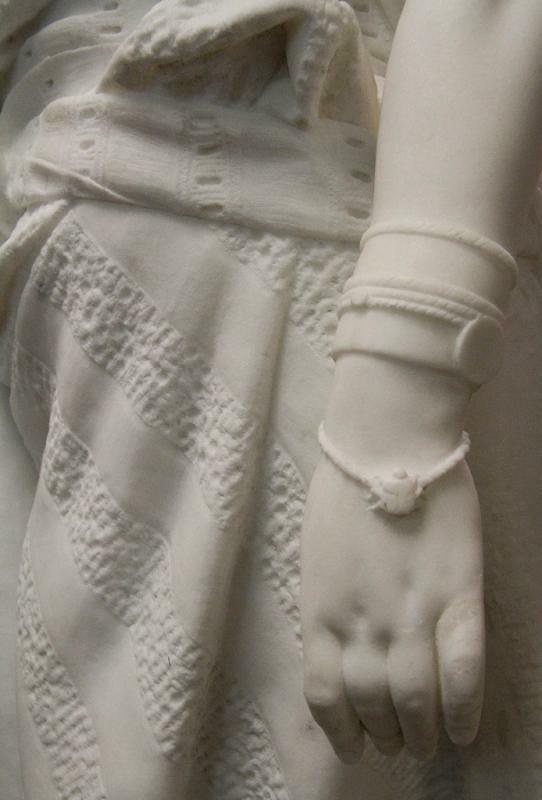 The marble pedestal has some chip losses at the edges, consistent with age. 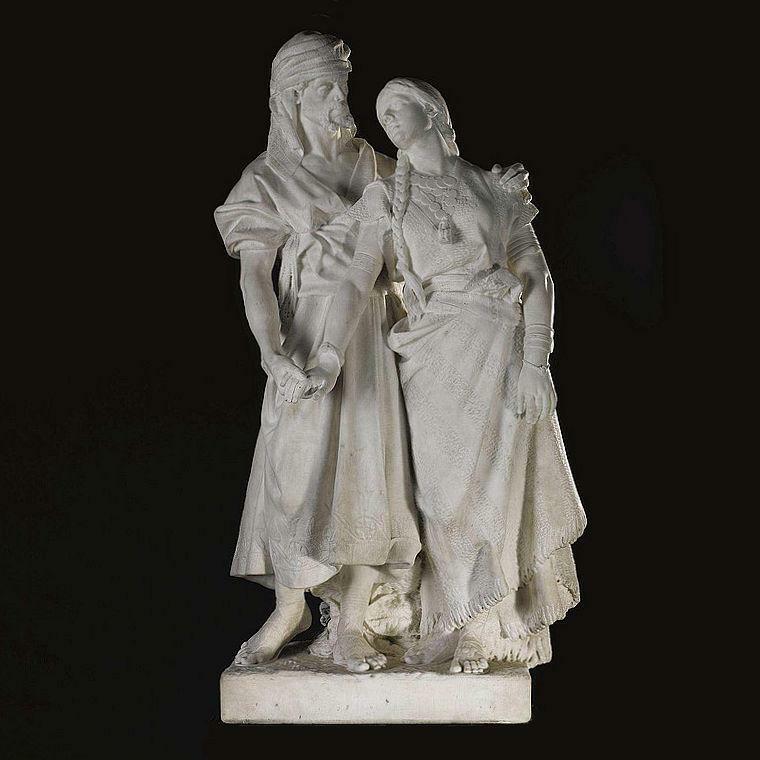 Provenance: Sotheby's, New York, October 12, 2009, lot 313. 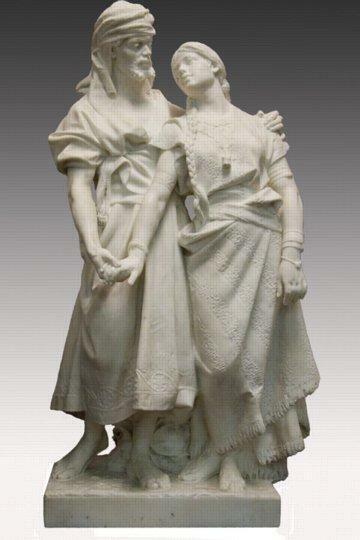 Items Similar To "Othello and Desdemona Italian Carrara Marble Statue by Carados"